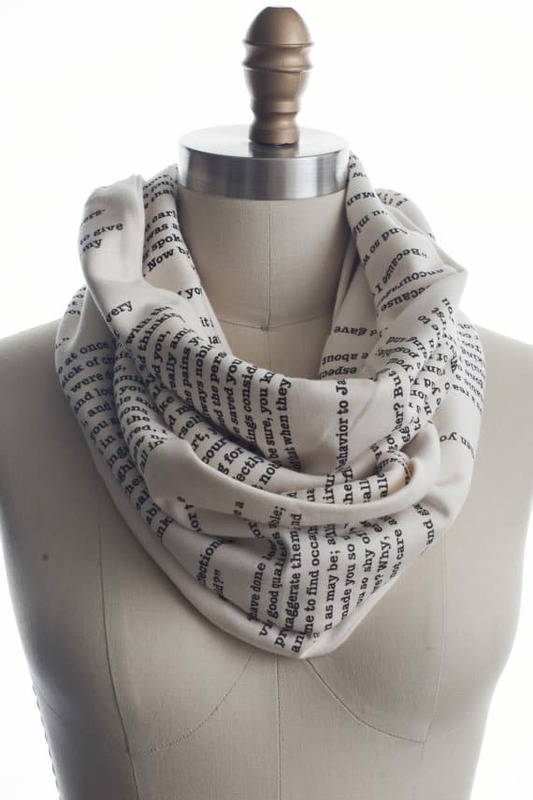 19 Gifts for Book Lovers (That Aren't Books)  | Nerd Much? If you’re looking for the perfect gift for the bibliophile in your life, the obvious answer is, of course, more books; however, that can be tricky if you don’t know what they’ve read, what they already have, or what they may be interested in. Amazon and Barnes & Noble gift cards are an option as well, but if you want to get them something with a more personal touch, look no further than our gift guide for book nerds. 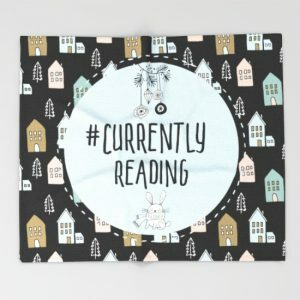 This carefully curated, hand-picked list features a wide variety of gift ideas, all of which any bookworm should be overjoyed to receive. Even if you’re on a budget, we’ve included a number of more affordable items that are still sure to delight. 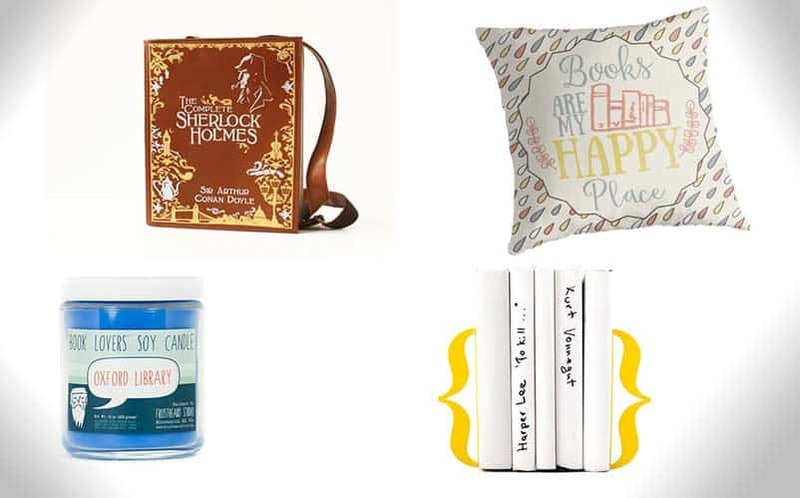 Whether you’re shopping for your significant other, a family member, a friend with their nose always buried in a book, or just someone from your book club, you’ll definitely find the perfect gift from our list of awesome literary-themed items and reading accessories. 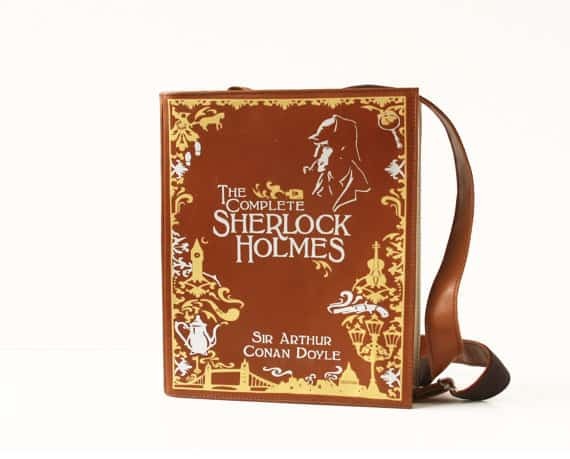 These gorgeous leather book-shaped bags are available in four different sizes (ranging from 9×6.7×1.9 inches to 14×11.8.3.1 inches), are fully lined and padded, and feature a magnetic snap closure, an adjustable shoulder strap that goes up to 50″, and two inner pockets. They are decorated with a plotter-cut thermo-transfer print and come in a variety of book covers; their shop lists 54 classic titles (including The Complete Sherlock Holmes pictured above), but also states that they are open to custom orders, so you can converse with them if you want a cover that’s not featured, or if you’d prefer a different size, faux leather, or a shopper-style bag. The prices range from $170 for the smallest size to $235 for the largest plus S&H (they are based on Russia but will ship worldwide). Even the smallest size is probably large enough to hold a small paperback in addition to your phone, wallet, keys, and other necessities. I think every reader knows the feeling of walking into a bookstore or library and wishing they could concentrate that smell into a candle. 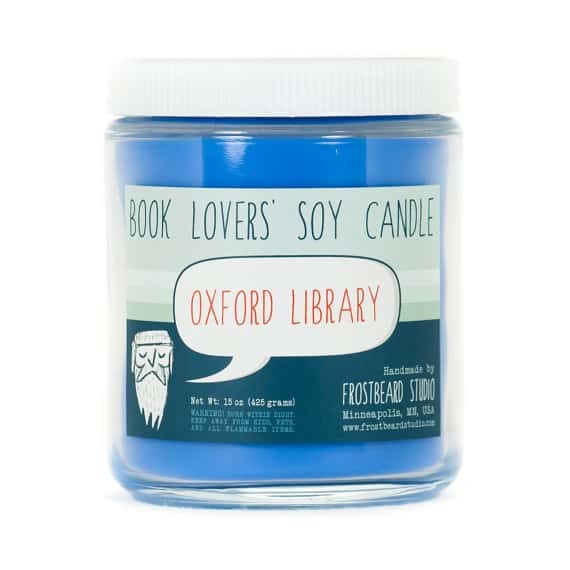 Well, Frostbeard Studio has done so for you with their line of Book Lovers’ Soy Candles. They come in a wide variety of fragrances, from general book-related scents such as Old Books, Bookstore, and Oxford Library to imaginative scents that evoke specific fictional worlds such as Through the Wardrobe, Gatsby’s Mansion, and Headmaster’s Office. They are hand-poured in small batches using clean-burning and eco-friendly soy wax and a lead-free cotton wick and come in a reusable glass jar with a plastic lid. The jars measure about 4″ tall and 3″ in diameter and hold 8 fluid ounces of wax, promising about 65 hours of burning time. They’re not as heavily fragranced as most commercial candles but rather provide a lovely, subtle scent that won’t overwhelm and pairs perfectly with a book. They also come in soy wax tarts if you prefer a wax melter to burning candles. Each candle is $18, tea light sample packs are $12 for a pack of four, and wax melts are $6.75 for a pack of six (plus S&H). My reading time is probably split pretty evenly between e-books and hard copies; as such, this little device comes in pretty handy when I’m reading in bed and don’t want to disturb my other half. It might be slightly more expensive than your average reading light, but it’s worth the price for the rechargeable battery alone (if you consider the money you’d ordinarily spend on batteries, it more than pays for itself). One charge gives you hours of reading time, and the super bright LEDs with two brightness settings help reduce eye strain. The clip holds the light securely in place and the flexible neck allows you to put the light wherever you need it, and it’s the ideal brightness for illuminating the pages without keeping anyone else awake. 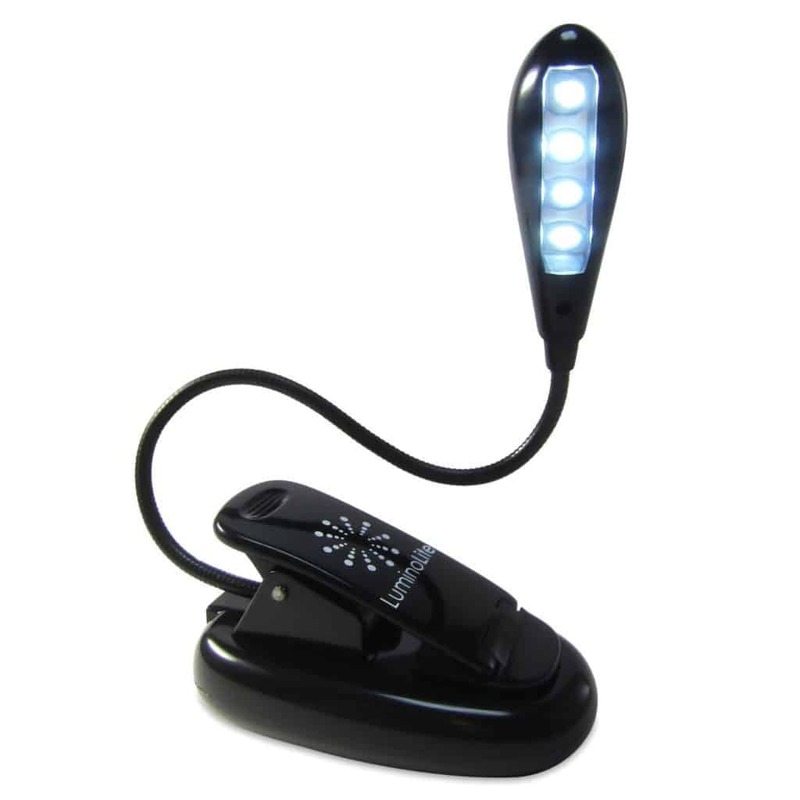 The light comes with a built-in rechargeable 1000MAH li-ion battery, UL-listed charger, and USB cable. Now this is a message we can get behind. The product description accurately states, “Reading increases empathy, chills you out, keeps your brain sharp, and can even help fight prejudice.” The Strand has many awesome book-themed gifts, but this is by far our favorite for both its relevance to current affairs and positive spin on an originally troubling message. The white color ensures that (hopefully) the general public won’t confuse you with a certain other group of people known for their trucker hats…then again, that could be amusing as well. 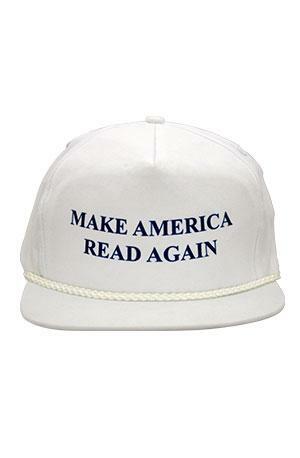 This hat is the perfect gift for the politically active reader in your life that also enjoys faking out complete strangers. If you’re tired of people interrupting you while you read, let the whole world know exactly how you feel with this adorable t-shirt. It’s available in three different shirt styles: standard unisex, women’s ultra slim, and women’s relaxed fit, and sizes range from S-3XL. All three styles are black 100% Super Soft Ringspun Cotton. It’s also currently on sale for $12, so make sure to grab it before the sale ends. When reading in public or social situations, take care to hold your book so that it doesn’t cover the graphic, to ensure that everyone gets the message. This would make a perfect gift for those that require reading glasses, or really any glasses-wearer that likes to read at bedtime. 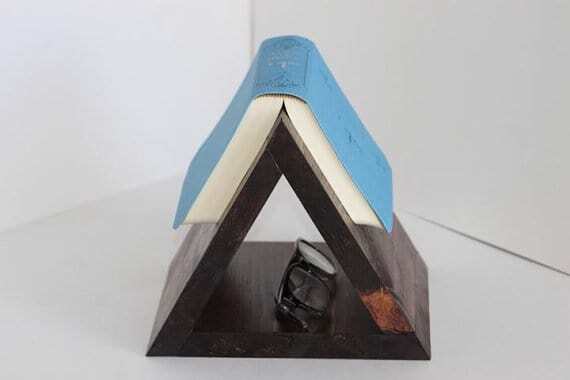 It’s stunningly simple, yet genius; the top is just the right angle to hold your place without damaging the spine of your book, and the bottom space is perfect for holding your glasses (or other small accessories like a book light or bookmark) to ensure that they don’t get knocked off your nightstand. The wood is sanded to a smooth finish and the seller offers a variety of stains, so you can easily match it to your decor. Also, 10% of all sales are donated to PSC Partners Seeking A Cure, which is a nonprofit dedicated to researching Primary Sclerosing Cholangitis (more information can be found here). We’re big fans of Redbubble, as they feature a number of quality items (t-shirts, phone cases, home decor, bags, etc.) in a wide variety of designs from some amazing artists from all corners of the globe. 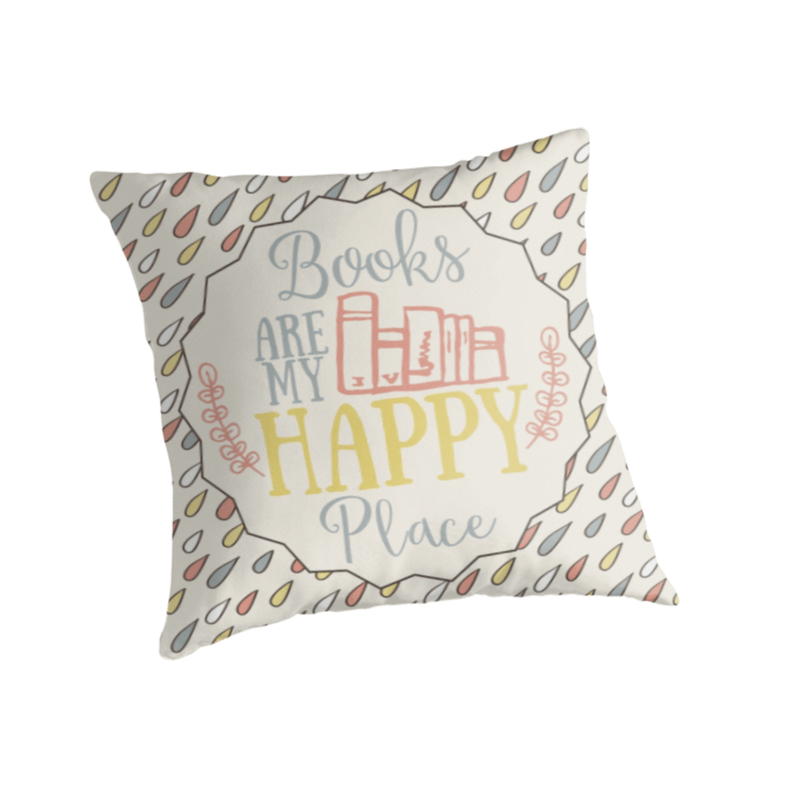 Whatever your interests, it’s easy to find something that speaks to you, and for book lovers, this throw pillow is undoubtedly that thing. It comes in three sizes: small (16″ x 16″), medium (18″ x 18″), and large (20″ x 20″), and can be purchased as a cover only or a cover with an insert. 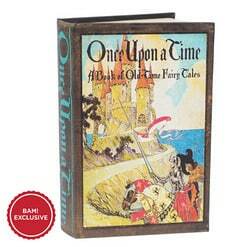 The cover is made from 100% spun Polyester Poplin fabric and the insert from recycled polyester. The design is printed on both sides and would look great in any room; if you want a matching set, you can even purchase two for 15% off. 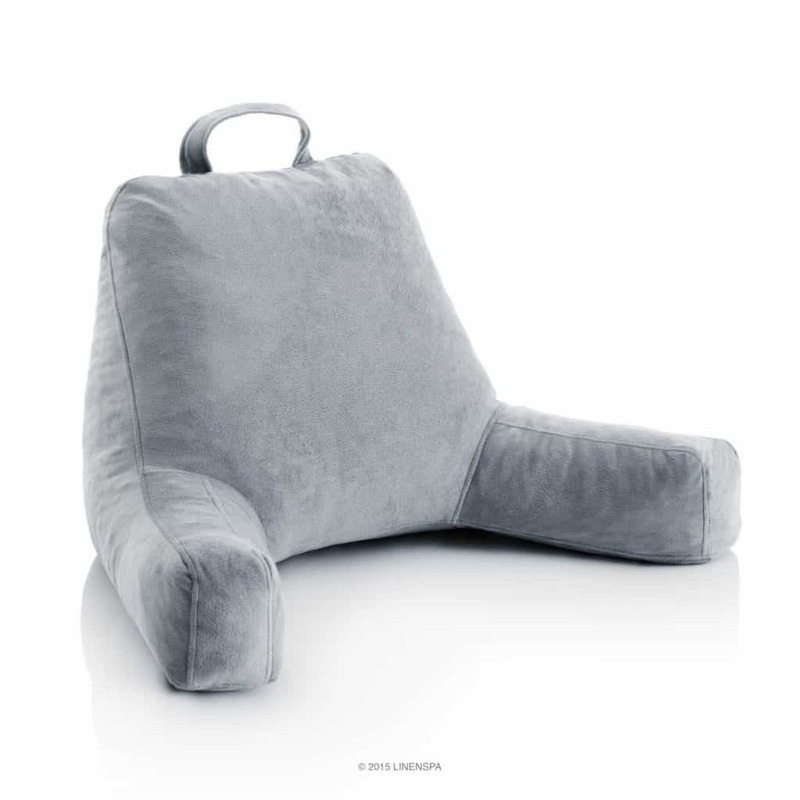 They provide the perfect spot to lay your head when you visit your happy place. If the reader in your life is a fan of e-books, considering gifting them a Kindle Unlimited subscription; it’s basically the Netflix of books. Even if they don’t have a Kindle, they can download the free Kindle reading app on most devices. For just $9.99 a month, they get unlimited access to over one million titles, as well as popular magazines and thousands of audiobooks with Audible narration. It does auto-renew every month, so you can’t select a specific number of months or pay all at once, but you do have the ability to cancel at any time (or even better, give the gift of indefinite reading). If you checked out Kindle Unlimited when it first began and weren’t impressed with the selection, check again, because they’ve added a ton of more popular selections and have some great series that make it more than worthwhile now. 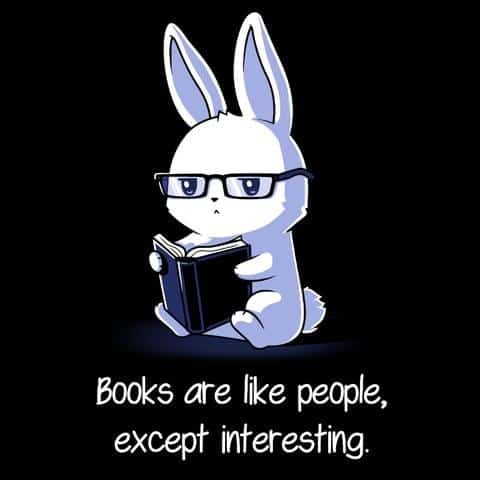 Most avid readers love to keep track of the books they’ve read (or want to read), either for memory’s sake or to help them keep track of particular series/authors they like. Sure, sites like Goodreads and apps like Litsy are great, but sometimes you just want to chronicle things the old-fashioned way. 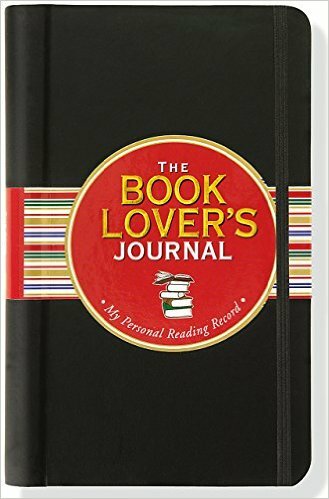 The journal not only allows you to record details of books that you’ve read, but it also gives you space to write titles you want to read, as well as pages to keep track of books borrowed or lent, book sources, book group contact information, and a section for your reading life. There’s even a list of acclaimed titles and authors to help you choose what to read next. There are 216 pages in total, and the book measures 4.5″ wide by 7.5″ tall, so it’s easily portable if you want to take it to the bookstore or library. As most readers know, nothing pairs better with a book than a nice hot mug of tea (see below for mug). 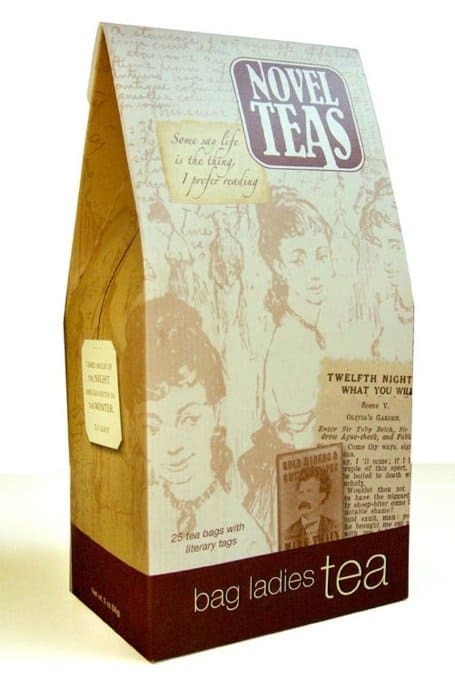 Novel Teas from Bag Ladies Tea contains 25 tea bags of the finest English Breakfast tea, each individually tagged with literary quotes from the greats. There are quotes about books from the likes of CS Lewis, Rita Mae Brown, and Alice Hoffman. And, as CS Lewis said, “You can never get a cup of tea large enough or a book long enough to suit me.” As such, this would be perfect as a stocking stuffer or for a book club gift exchange. 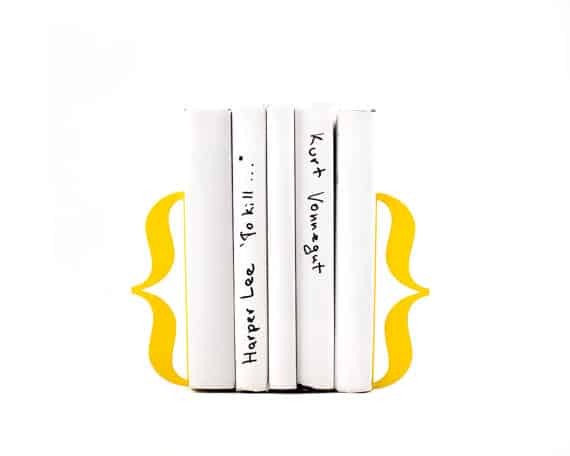 Bookworms can display their collection in style with these minimalist, contemporary bookends in the shape of brackets. They come in a variety of striking colors such as the yellow pictured above, red, purple, and mint green, and are made from laser cut sheet steel. These heavy-duty bookends come as two separate pieces, are strong enough to hold any number books, and also feature silicon anti-slip pads underneath to protect your furniture, making them well worth the price. They measure 7.5″ x 7″ x 3.6″ and the seller offers free international shipping. And if the brackets aren’t your style, the seller has many more shapes available in their Etsy shop. 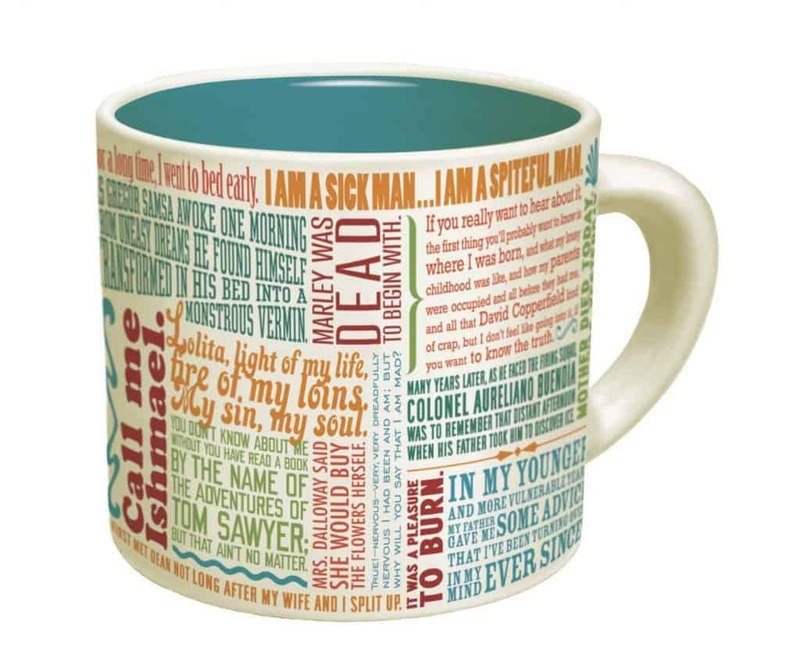 This beautiful coffee mug from the Unemployed Philosophers Guild (a misleading name, as they are neither unemployed nor philosophers) features 24 opening lines from some of the greatest works of literature in history, including Pride and Prejudice, Anna Karenina, Slaughterhouse Five, and Beloved. The attributions for each quote are even listed on the bottom of the cup, in case you don’t recognize them. The slightly-oversized mug holds 12 oz of liquid and is both dishwasher and microwave safe. If you’re getting it for someone else, it also comes in an attractive gift box for easy wrapping. If your reader is also a tea drinker, consider pairing this with the Novel Teas listed above. 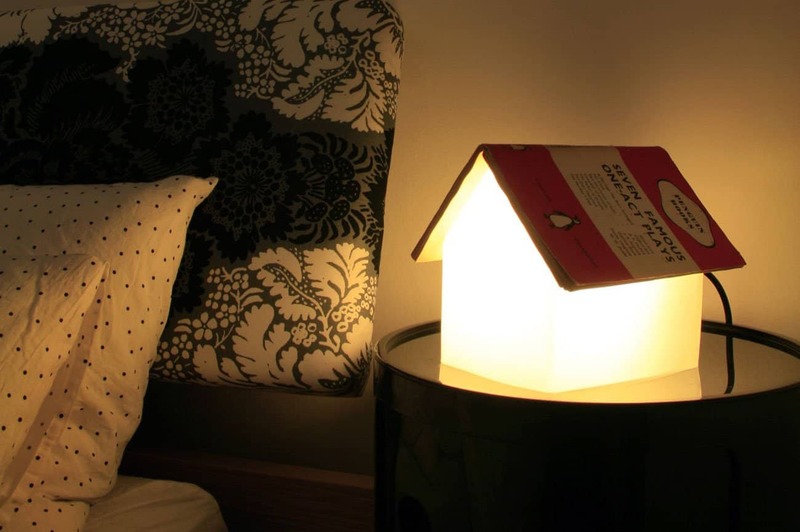 This uniquely-shaped light doubles as a bedside reading lamp and an attractive book rest. The frosted glass gives it a beautifully soft glow that is perfect for reading at night without disturbing your partner, and the LED bulb never gets hot so it’s perfectly safe to rest your book on. And when you rest your book on it, voilá, you’ve made a house. The lamp measures about 4.4″ wide x 5.8″ tall x 5.8 ” deep, so it will easily fit on any nightstand. The LED bulbs are not replaceable but promise 20,000 hours of use, which is well worth the $100 price of the lamp. It comes with a multi-region adaptor for UK, EU, US, and Australia, and can also be used with a suitable 5v USB power supply. These gorgeous infinity scarves are one of my personal favorite finds. The scarves are all made from American-made super soft 100% cotton knit fabric (about the weight of a t-shirt) that is doubled over and sewn at the edge and center for extra thickness and warmth. They measure about 63″ in circumference and 12″ in width. The text is screen printed and slightly textured, and each scarf comes with a set of care instructions. They are available with passages from 18 iconic titles such as Pride and Prejudice, Sherlock Holmes, Hamlet, and more, and the shop also takes custom orders if you don’t see what you want. Most come in neutral colors, so they will go with everything and would be a fashionable addition to any outfit (for that literary chic look). They are $48 each, and well worth the price for such a unique and beautiful gift. 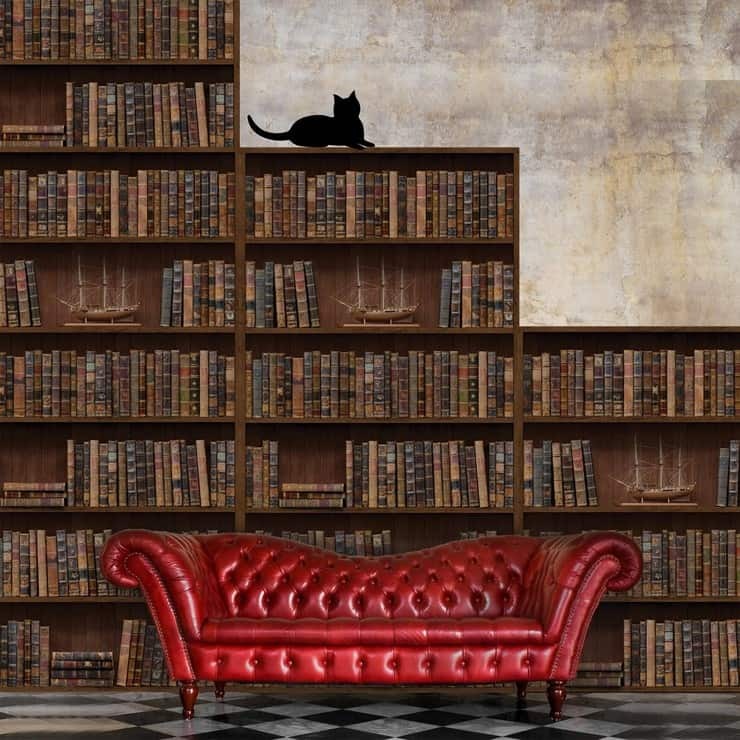 For those who have ever dreamed of owning their own personal library but just don’t have the money, they can at least achieve the look of it with these fabulous Vintage Library Wall Decals from Walplus. These eco-friendly, non-toxic stickers are self-adhesive (just peel and stick), will stick to a number of surfaces, and are easy to remove and reposition without damage to your walls. The set comes with nine pieces measuring about 23″ x 35″ each, so at just $48, you can get wall-to-wall bookshelves in your house or apartment at a fraction of the usual cost. If you buy enough, you can transform an entire room into the library from Beauty and the Beast. Okay, so they’re not real books, but from a distance, you almost can’t tell the difference. 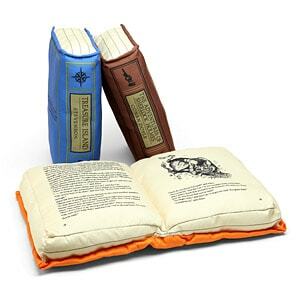 The worn-looking vintage tomes will certainly give any room a relaxing feel for you to curl up and read actual books in. 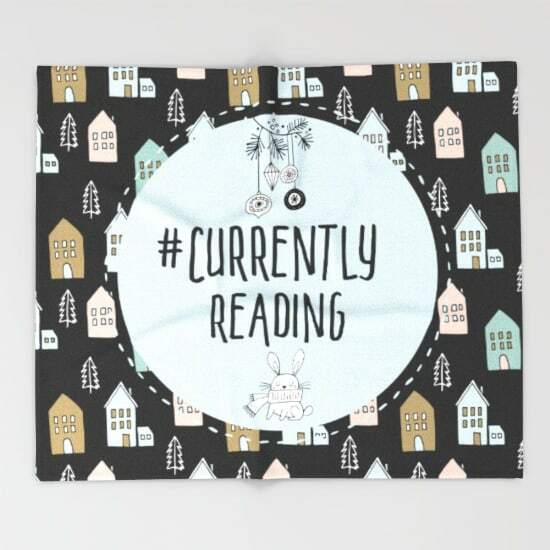 This blanket is the perfect thing to curl up under this winter while you lose yourself in a good book, and the clever hashtag lets everyone know your current status.